It was so yummy, I just had to post it. 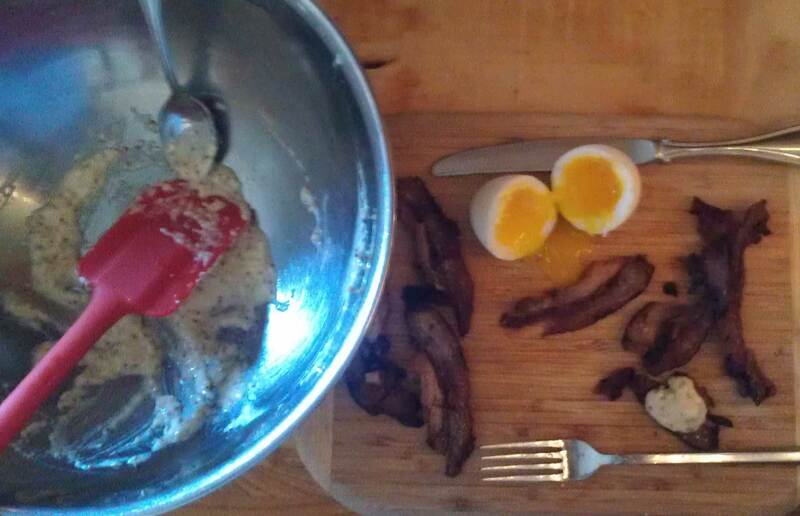 The fatty part of a leftover pig roast, cut thin and roasted until crispy at 450*F, topped with what you might call “kick candida where it counts” dressing, and a soft boiled duck egg. At one point it was smiling at me…. I didn’t measure anything, just mixed what looked good in my food processor. It was SO delicious on the pork, and on broccoli sprouts, too!